A family settles into their new home in Long Island, NY, and immediately they all begin experiencing strange occurrences. This pre-sequel to the ’70s smash hit The Amityville Horror (1979) is more schlock than horror. Amityville II: The Possession, directed by Damiano Damiani (A Bullet for the General), is a sleazy, exploitative, but genuinely scary chiller. The film is full of weird inconsistencies (it is supposed to take place in the ’70s, but clothes, technology, etc., are clearly ’80s), annoying discrepancies (many scenes contradict the first film), and silly speculations (DeFeo himself has given contradictory statements over the years). Oh, well! These are problems that viewers need to put aside if they want to get any kind of enjoyment out of the movie. Newcomer Jack Magner is good as DeFeo (renamed Sonny Montelli). Burt Young (Rocky) and Rutanya Alda (The Deer Hunter) play his parents. James Olson (The Andromeda Strain) is Father Adamsky, the priest who comes to realize that the family’s firstborn has been possessed by an evil spirit. 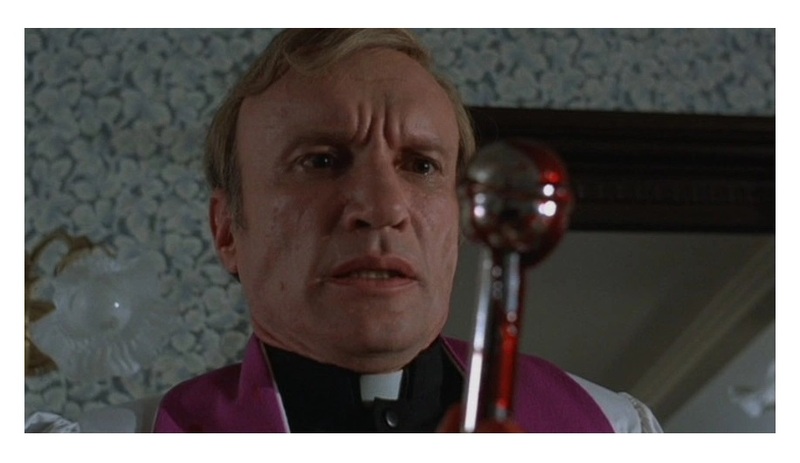 Andrew Prine (The Miracle Worker) is Father Tom, the exorcist’s assistant. Award-winner actor Moses Gunn (Shaft) plays a police detective. Diane Franklin (The Last American Virgin) is Magner’s sister. Oscar-nominated composer Lalo Schifrin (TV’s Mission Impossible and THX 1138) delivers another chilling score. Also, kudos to the crew who managed to hide the fact that most of the film was filmed in Mexico. 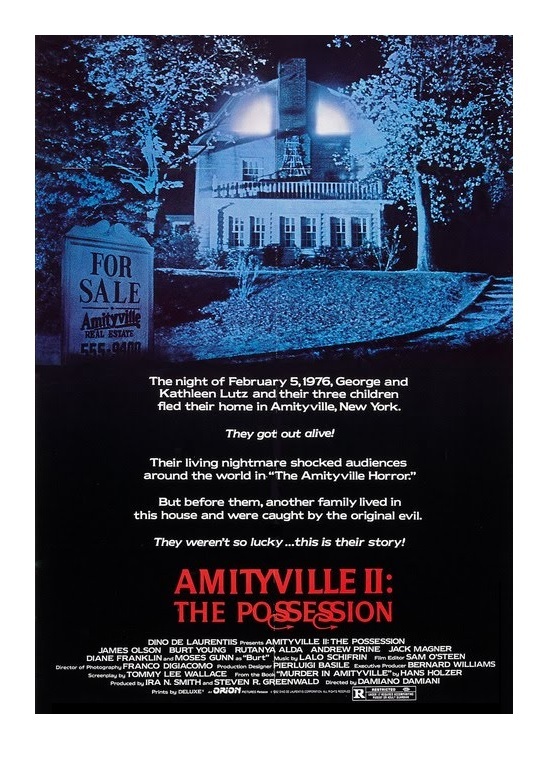 Amityville II: The Possession was produced by Dino De Laurentiis, known for both art-house favorites (La Strada and Nights of Cabiria) and gargantuan epics (King Kong and Dune). One thing is clear about Laurentiis; he knows how to grab people’s attention — some scenes are downright nasty. Never mind that, the film was a big hit. If you are a fan of grindhouse cinema you may want to check it out. Color, 104 minutes, Rated R.